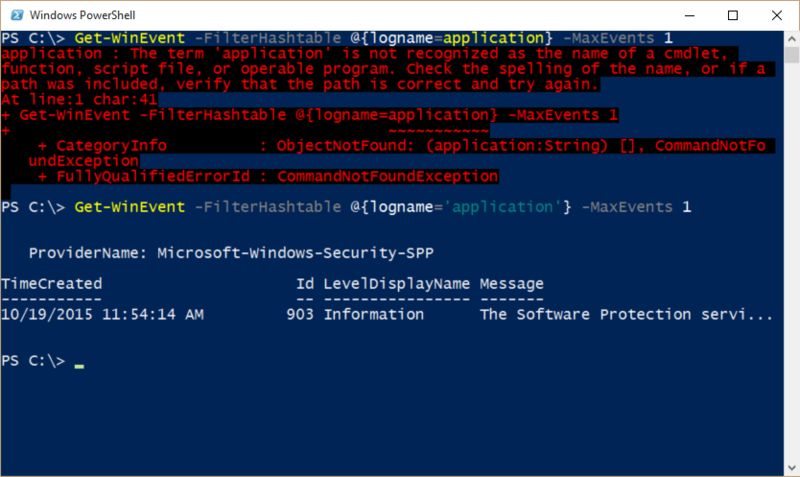 Summary: Ed Wilson, Microsoft Scripting Guy, talks about filtering event log events with the Get-WinEvent cmdlet. Hey, Scripting Guy! 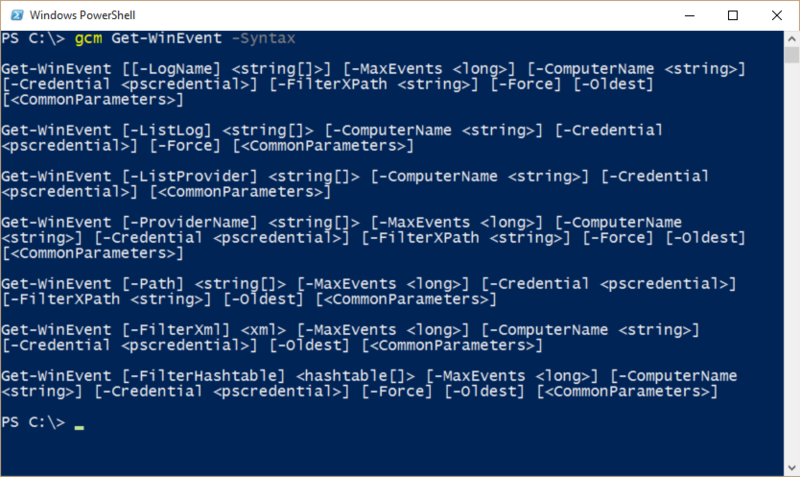 I try to use the Get-WinEvent cmdlet to search event logs, but it is pretty hard to do. Also, I don’t see the nice switches that I had with Get-EventLog, so I don’t see why I should use the other cmdlet and have to pipe everything to Select-Object or Where-Object. Microsoft Scripting Guy, Ed Wilson, is here. One of the things that you need to realize is that with Windows PowerShell, one should always filter to the left of the pipeline. This is the prime directive when it comes to working with large amounts of data. Event logs can be huge and contain massive amounts of data. They can consume huge amounts of bandwidth when they are delivered across the network or other places. Like the alligator that the Scripting Wife and I saw while we were hiking the other day, this can be a hidden trap with serious outcomes if the network admin is not paying attention. That is right, the FilterHashTable parameter accepts a hash table as the input parameter. Note If you need a refresher about hash tables, see Learn the Basics of PowerShell Hash Tables. Everything goes into the hash table. Note When testing a filter hash table for the Get-WinEvent cmdlet, it is a good idea to limit the amount of data returned to just a few records. This is where MaxEvents is a useful parameter. To add another key name/value combination to FilterHashTable, separate the key name=value pair with a semicolon. This is shown here, where I search the Application log for event ID 413. 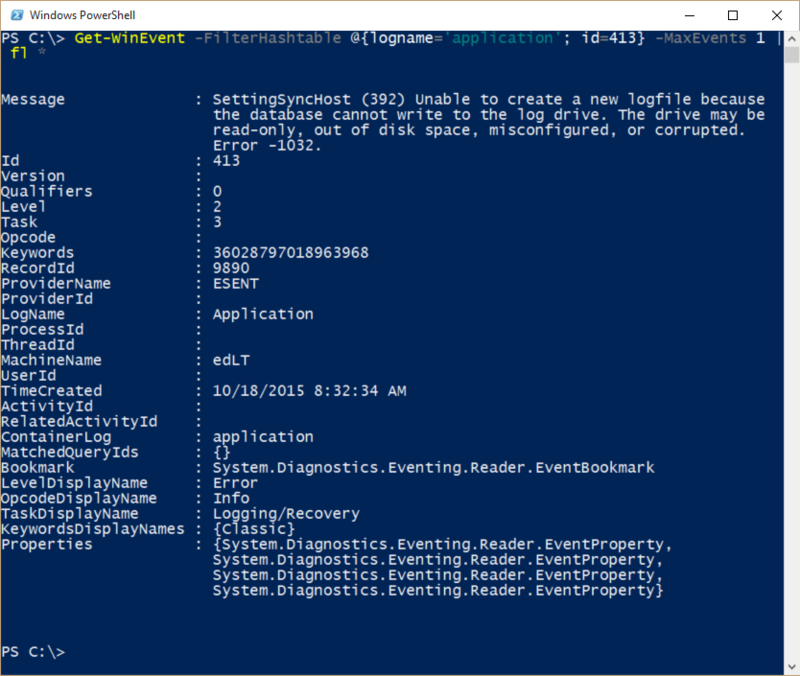 EG, that is how you can use Windows PowerShell to read the event logs. Join me tomorrow when I will talk about more cool stuff.